Crazy-easy, chewy and delicious, these 3 Ingredient Oatmeal Cookies are so simple to make and are just the BEST cookies! 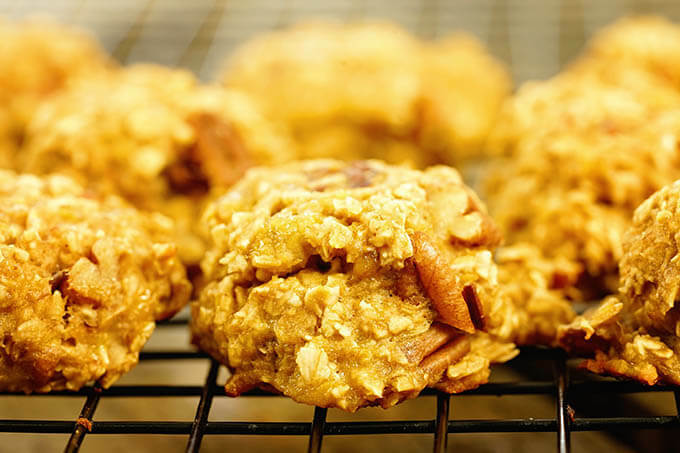 These moist, tender, chewy oatmeal cookies are the perfect small batch sweet treat! Super delicious 3 Ingredient Oatmeal Cookies are crazy easy and just so good! 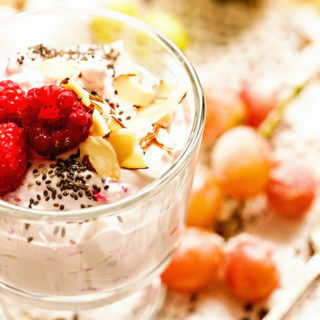 Enjoy them for a sweet treat or for breakfast! 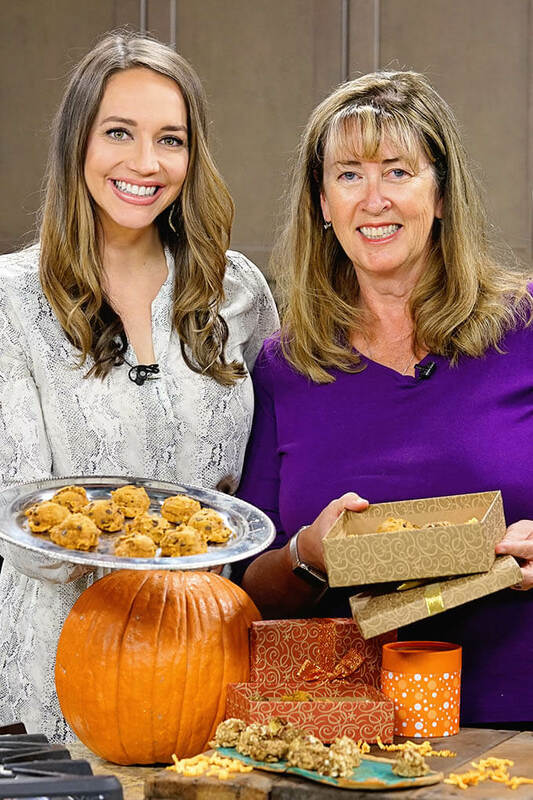 These cookies made their debut last week on TV! If you live here in the Valley I was on our local NBC affiliate station KSEE24 News last Friday! I’ve had the privilege of hosting KSEE24 before here at the house, but I’ve never been to the station, so this was exciting stuff! I got up bright and early (3 am!) to get ready, pack everything up and head to the station! We had four segments on air. 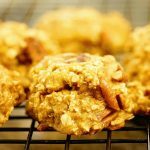 We baked Pumpkin Chocolate Chip Cookies, 4 Ingredient Peanut Butter Cookies and these tasty 3 Ingredient Oatmeal Cookies! We wrapped everything up in the end by packaging them into cute little boxes (pictured above) for a cookie exchange! 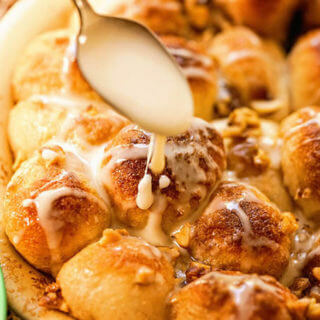 If you’re doing any holiday baking, this is definitely the place to start! 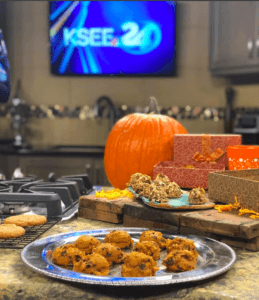 Christina and I at KSEE24 – we snapped a quick photo before the production crew came in and polished off the rest of the cookies! It’s been so fun sharing tried and true family cookie recipes on the blog – Grandma Cochrane’s Pecan Sandies, Grandma Bertha’s Butter Cookies and these super delicious Peanut Butter Oatmeal Cookies. I’m so proud to have all of those old recipes. They are all handwritten and passed down with love! Today I’m super excited to share my latest recipe – 3 Ingredient Oatmeal Cookies! Yup, three ingredients – that’s it! Are you shaking your head at the Instant Oatmeal? Don’t be! Those little packets have a ton of flavor! Bananas add a nice sweetness and pecans add richness and crunch. Soft and chewy oatmeal cookies! These are the perfect cookies. So easy it will take longer to preheat the oven than mix the cookie dough! 3 Ingredient Oatmeal Cookies – How crazy is that? And these cookies are GOOD! Like seriously good. Like “Deb the anti-sweet girl ate three” cookies (embarrassing yes!) but true, good!!! Granted they were small cookies, but still … three disappeared before I even photographed them the first time. That’s okay, it gave me a good reason to make another batch! I mean I had to photograph them, right? What makes these cookies is a good over-ripe banana. How can I quickly ripen bananas? Here are 3 options! preheat the oven to 350 degrees and bake the bananas (peel-on) for 15 to 20 minutes until the skins are completely black. remove the skin, place the bananas in a bowl and microwave at 15-second intervals until soft. Depending on your microwave it will take 2-3 times until it can be easily mashed. What if I can’t use up all of the ripe bananas? Place the overripe bananas in a Ziploc freezer bag and pop it in the freezer. Skin on/skin off – either way, works. Personally, I think leaving the skin on preserves the banana better. Here’s a great shot of the wrap up for our cookie exchange! More quick and easy cookie recipes! When it comes to cookie exchanges and holidays desserts, homemade is best but it doesn’t have to be complicated! 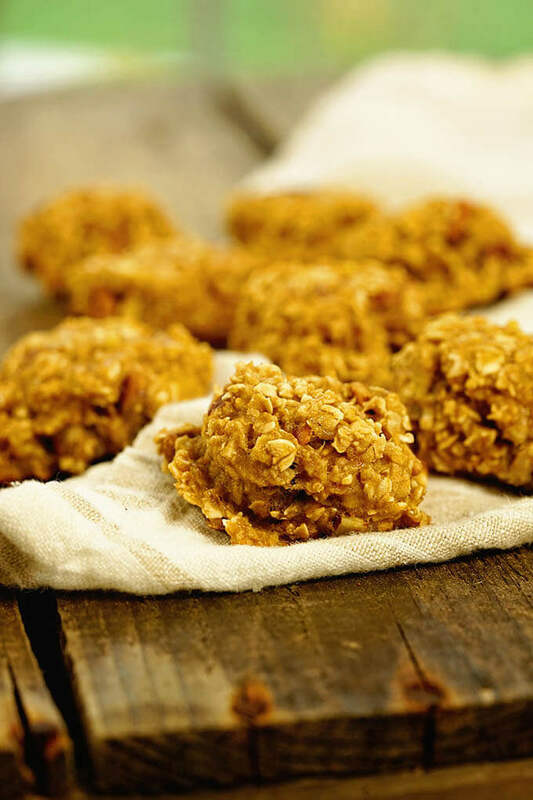 These quick and easy chewy oatmeal cookies are delicious and won’t take all day to make! 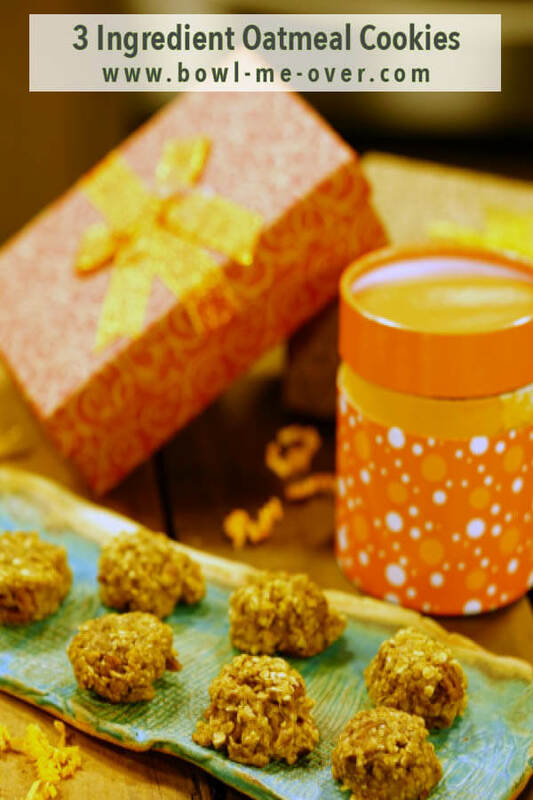 Chewy Oatmeal Cookies are sweet and delicious! 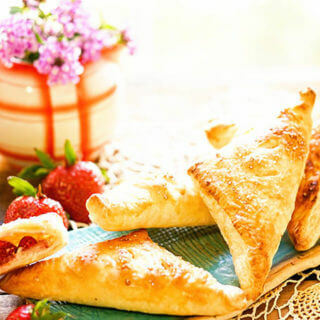 With only 3 ingredients, they are quick and easy to make. Preheat the oven to 375 degrees. Spray baking sheet with non-stick cooking spray set aside. Using a fork, mash the banana, chop the pecans. Mix 2 packets of instant oatmeal in with the banana, stir in the pecans. Drop by spoonfuls onto a baking sheet - I use a small ice cream scoop so the cookies are uniform in size and bake evenly. Bake for 12 minutes, allow to cool for 5 minutes before removing from the baking sheet onto a cooling rack. This recipe makes 10 small cookies/6 large. All are tasty! I know you loved these cookies Liza – they are so good! Just made these with my two year old grandson and we had the best time ever!!! I put the ingredients on his table he can reach and let him go to town. Then, let him put the dough on the cookie sheet and he stood in front of the oven sooooo excited to watch them bake. I promptly picked up more oatmeal packets and bananas. We will be making these often. My grandson has an egg allergy so this is beyond perfect. Thank you!!! 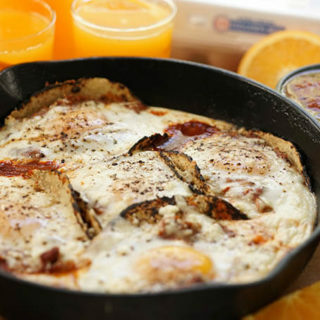 Delicious and nutritious…and egg free! Wonderful, I’m so glad you and your Grandson enjoyed this recipe! Good to get the kids in the kitchen, that’s awesome! Wonderful, they are so easy to make – the kids will love helping you bake these cookies! I love me a good and easy to make cookie! This is a great recipe. Thanks so much for sharing it! Your welcome, enjoy these cookies! This is so awesome that you were on TV! LOVE it! And love how few ingredients there are in these yummy cookies! It was a blast being on TV Michelle, if you ever get the chance, definitely do it! Hahaha! A celebrity? I think that’s a stretch! 😀 But the cookies? They are definitely a star! I have John’s mother and grandmother’s recipe boxes and his mother is 93! They are definitely a treasure to me and a hoot to read ingredients and instructions. Those cookies sound delicious and are so easy! Isn’t that cool, I agree – those are just treasures and I know you really appreciate them too, that’s awesome! You’re a natural on camera! Dang, I would have loved to watch the segment. Did you tape it? I love adding new cookies to my dessert tray every year, especially easy and delicious ones like these! It was super fun Sandra! It was at the studio and I wasn’t able to tape it, dang it! If you ever get the chance, be sure and jump in, you’d have so much fun! 3 ingredient cookies? Count me in! These sound so tasty! One order coming up Madi!!! I love how easy these cookies are! They’d be so easy to whip up at the last minute! Most definitely Lisa! Everyone loves homemade cookies! Oatmeal cookies bring me back to cooking with my grandma in the summer! She always added a banana to hers and not too many people do that anymore! Your Grandma was so smart, the banana makes them so sweet and tasty! Only 3 ingredients? 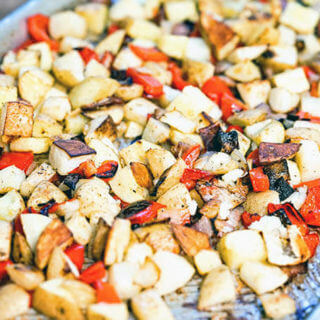 I need a recipe like this for church, when I need to make something quickly! 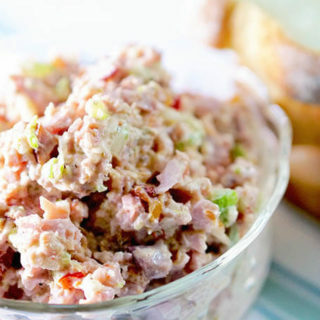 It’s a perfect sweet treat in the evening and especially delicious with some salty bacon!